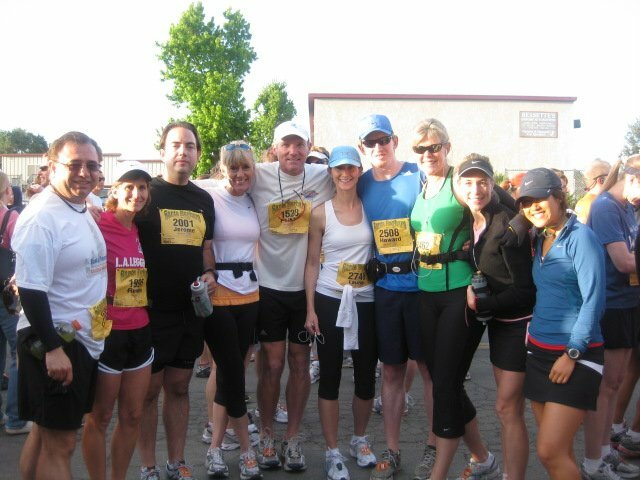 This past weekend, I traveled to beautiful Santa Ynez to run this half marathon with a bunch of my closest friends. We signed up for this race last year and it seemed like this trip would never come. I think most of us signed up mainly for the wine tasting than the actual run, but that’s a different story. Since my leg is still injured, I decided to take this one easy. Yes, if I ended up doing a 2+ hour half marathon time, I was not going to DNF. This race is part of the wine country series along with Napa to Sonoma in July, Oregon in September and Healdsburg in October. Not sure if I have plans on ever running the other three, maybe the Napa to Sonoma one, but it is already sold out this year. We arrived at the house we rented late Friday night and immediately passed out with a 5AM wake up call the next morning for the race. It was a pretty small race and since the start and the finish weren’t exactly in the same place (2 miles apart), the night before, we had left a car at the finish so we could drive back home instead of taking the shuttle. This seems to be the case in every race, but I always have a hard time starting out. It doesn’t just take me a couple minutes to warm-up, it takes me at least 3 miles! (which is why I rarely do 5K’s) I usually spend the first part of the race wondering why the hell I am running the race and how much I wish it were over. Not sure if it’s because it’s so early in the morning or what, but I have a hard time “getting into” the run. Well, for this run, it took me almost 6 miles before I felt good. A lot of it had to do with the fact that my injury kept acting up. It was like having a lead weight on my left foot, completely numb and asleep. Every step I took with my right foot, it would be pulling my left foot along. Friends have told me that it looks like I’m running with a limp, which isn’t surprising because I am placing so much pressure on my right leg to alleviate the pain from the left. Meh, this only happens when I run on pavement, not trails. Not entirely sure if it’s because of the change of terrain or because of the constant stopping and going on the trails and going at a considerably slower pace. Either way, it’s something I need to get checked out because this has been on-going for more than a month now. 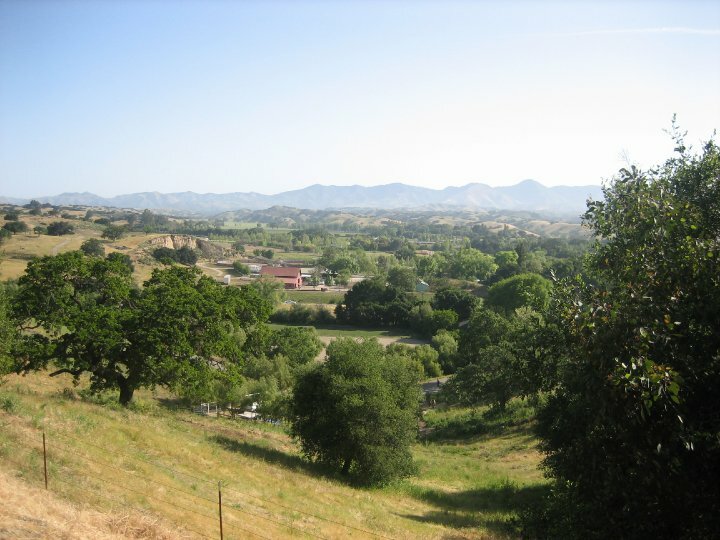 Anyways, the race winded through the Santa Ynez Valley bordered by the Sierra Madre Mountains and the Pacific Ocean. 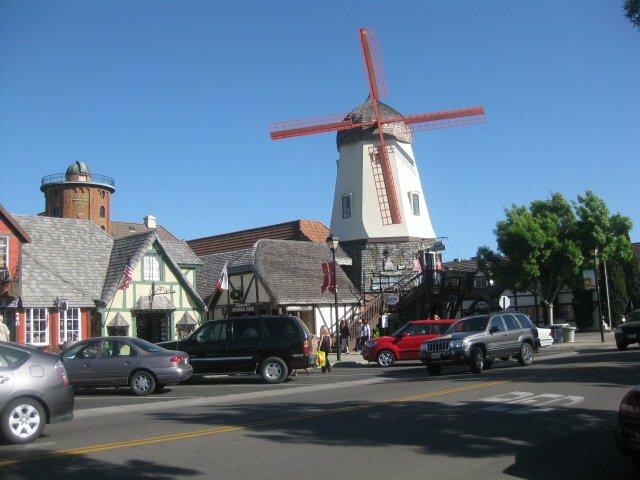 The course passed through the quaint town of Los Olivos before finishing on Copenhagen Drive in the heart of historic Solvang (danishes anyone?). In between we ran through clusters of horse ranches, fruit orchards, lavender farms and vineyards. The first six miles of the course into Los Olivos was relatively flat with some rolling hills. 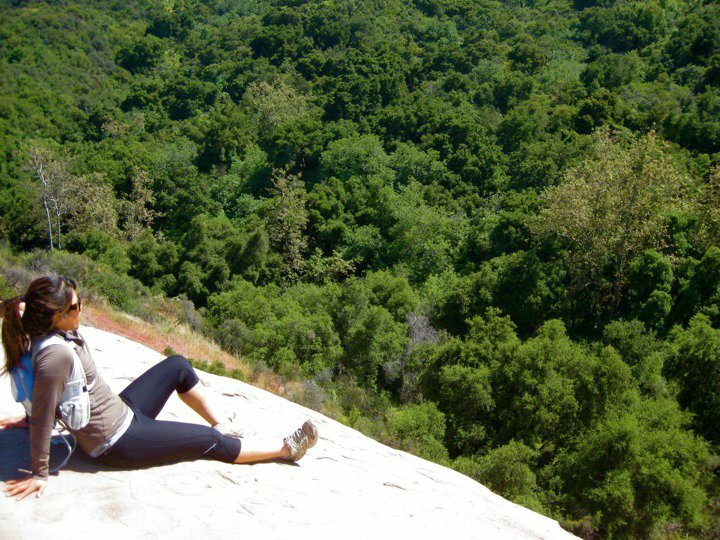 I knew there was an impending hill about halfway through, also known as “Corkscrew Hill”, which was a short but steep winding road to the top of Ballard Canyon. It wasn’t until after the hill that I started to feel better and was actually enjoying myself. The last half of the race was mostly downhill and I could feel myself flying, but there was a climb around Mile 11.5 which was annoying because I was doing so well! We ended in Solvang and I sprinted the last 0.5 miles ending with an official time of 1:52:23.1. Meh, not my worst time, but far from my best. It’s been a while since I had a really “good” race. My last PR for a half marathon was at Surf City and full at Walt Disney. Ever since those two races, my times have been slipping. Can’t wait to get back into track on a regular basis and spring back with some good times in the fall. In the meantime, I’ve been really enjoying the trails, much more than running on the streets. I mean, how can you beat this view? Is your bad leg the straight or bent limb?